Teaching beginning expository prose is never fun. Not fun for the teacher and certainly not fun for the young student. So now is the time. This year Bounce and I will be exploring the wild shores of expository prose and I hope to arrive at the other side with a competent writer in tow. As part of Bounce’s Boy Scout (Webelo) Citizenship Badge, he is required to write a short paper on an American president. 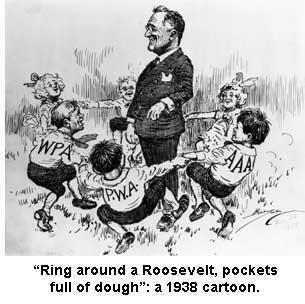 We chose FDR because his New Deal program has some obvious parallels to current politics. Why not see where it all began? We began by reading short books on FDR and doing some quick Internet research. Bounce wrote a muddled 2-page paper on FDR. Not surprisingly, it was evident that Bounce didn’t really understand any of the Big Ideas: Great Depression, Dust Bowl, New Deal, WWII, etc. 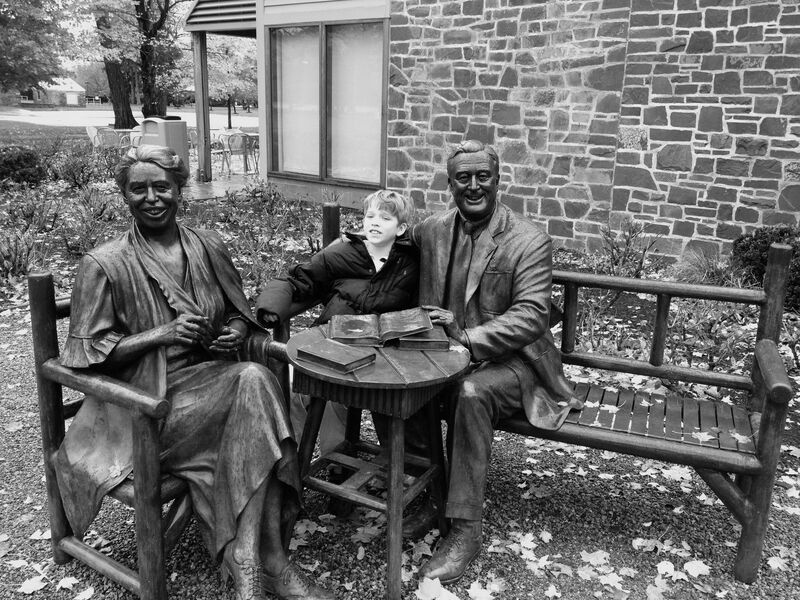 We decided to take a field trip and visit the Franklin Delano Roosevelt Presidential Library in Hyde Park, New York. The Library does an amazing job of telling the story of crisis and intervention between 1929-1945. Each room has short videos that explain the “facts”, followed by artifacts from the era. The entire exhibition, gallery upon gallery, provides an excellent view of history. One has the sensation of riding a time-travel train through the lives of Americans, both wealthy and indigent. Bounce finally understood each of the salient points of the time period. We were left with the impression of the monumental importance and success of Roosevelt. Where would we be without him? Unfortunately, there are few counter arguments and questions about alternative paths or the ultimate effect of the rising scope and growth of government. The most intriguing displays are actually scanned documents on video screens that present the controversies and debates during the Roosevelt years: Did the New Deal really end the Depression, or did the coming of the war? Why didn’t Roosevelt support federal anti-lynching legislation? (He did not want to lose Southern Democratic support.) What were his attitudes toward race? What was behind the executive order that interned Japanese-Americans along the West Coast? Did Roosevelt do what was possible to help Jews fleeing Hitler’s executioners? (At one point Alaska was considered as a refuge.) And did he give away Eastern Europe to Stalin at Yalta? 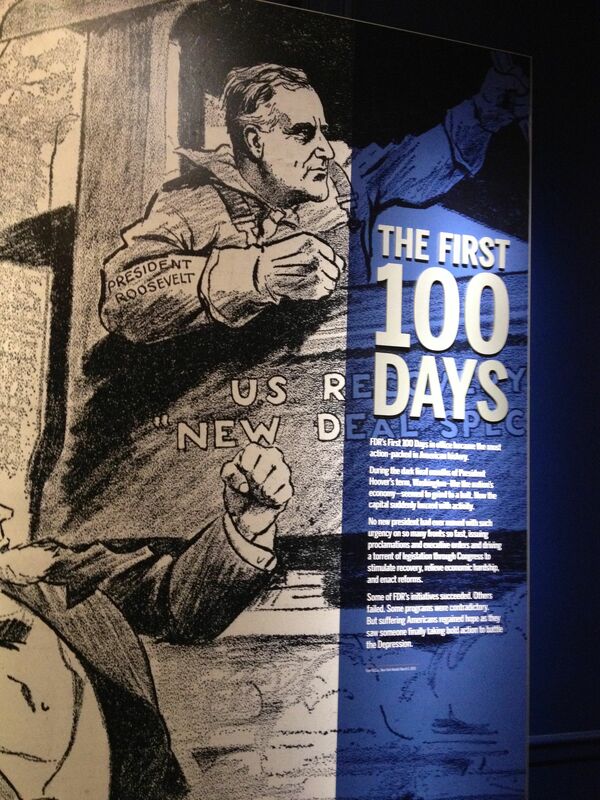 No matter one’s political view, the FDR Library is impressive and educational. Bounce learned more in one afternoon than would have been otherwise possible. We bought and read three new books about FDR. Bounce noticed that all three told different versions of the “truth,” a fact certainly worth noting when reading secondary sources. Bounce struggled through creating an outline for a formal paper, with thesis statement and supporting evidence. We discussed that each paragraph should contain one topic only, and begin and end with bridge sentences that would lead to the next topic. Finally, his new 3-page paper is complete. We both heaved giant sighs of relief. Bounce remains blissfully unaware that my real goal in this exercise is the teaching of expository prose. I am happy to “hide” expository prose in a history-Boy Scout sandwich. Am I a genius or a coward? You decide. But it is working. Word by word, Bounce is learning to write. 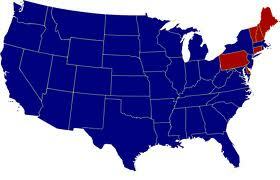 1932 Presidential Election map. Need we say more? But what if I fear government take over and the loss of liberty and individual freedom? 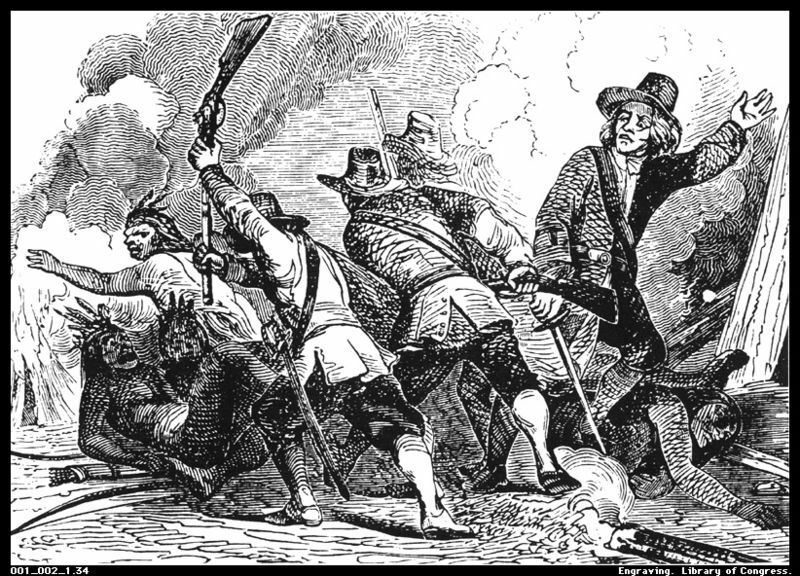 Next topic of government intervention (also prompted by the Citizenship Badge): The Great Swamp War. 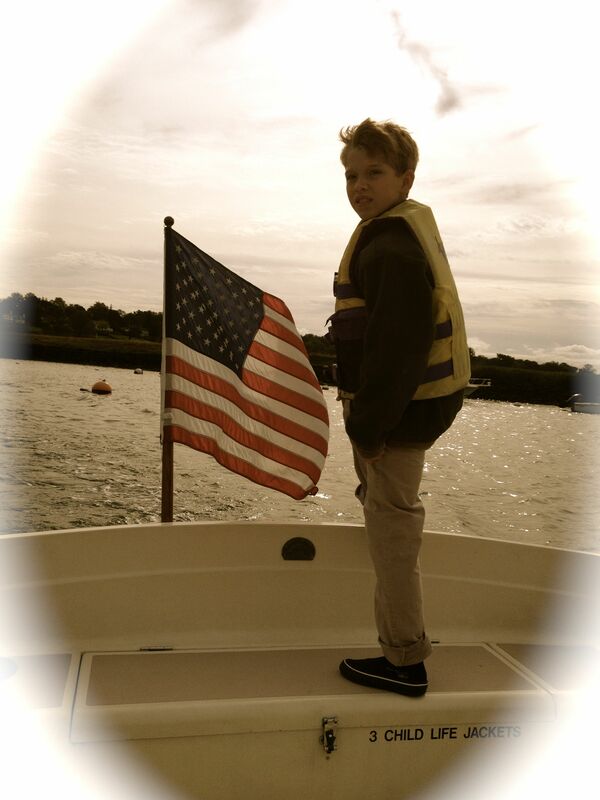 Let Me Count the Days: Homeschooling is munching on expository sandwiches composed of real life experiences, while sailing the high seas of independence. If you have to write another expository essay, you might like these folders. It makes organizing the sub-topics very easy! http://the-room-mom.com/writing-a-research-paper/. Thanks for the idea! As you can see, our next topic is The Great Swamp War. I will definitely try this approach. Any port in a storm! I only begin with this level of instruction during the beginning years of writing. The idea is to gradually “hide” the structure as the writer becomes more sophisticated, so that eventually you have a “fluid” piece that guides the reader effortlessly through your thinking. As far as teaching history, it is always political, is it not? I always present multiple views, but I admit: I do have my own view. It is always political! But I don’t recall ever really looking at specific individuals or political parties during my history lessons. I’ll be honest, I don’t recall really learning anything at all! Oh. It is the specifics that make it all human and understandable, turning the facts into a comprehensible tale that has the power to ignite the imagination. Otherwise you just have dry facts to crunch on.